The new DMM Pivot has stepped away from the standard design for multi-pitch belay devices (dual mode, tube style) and solved a long standing challenge: How to safely lower a second. Belaying a second climber with the DMM Pivot. 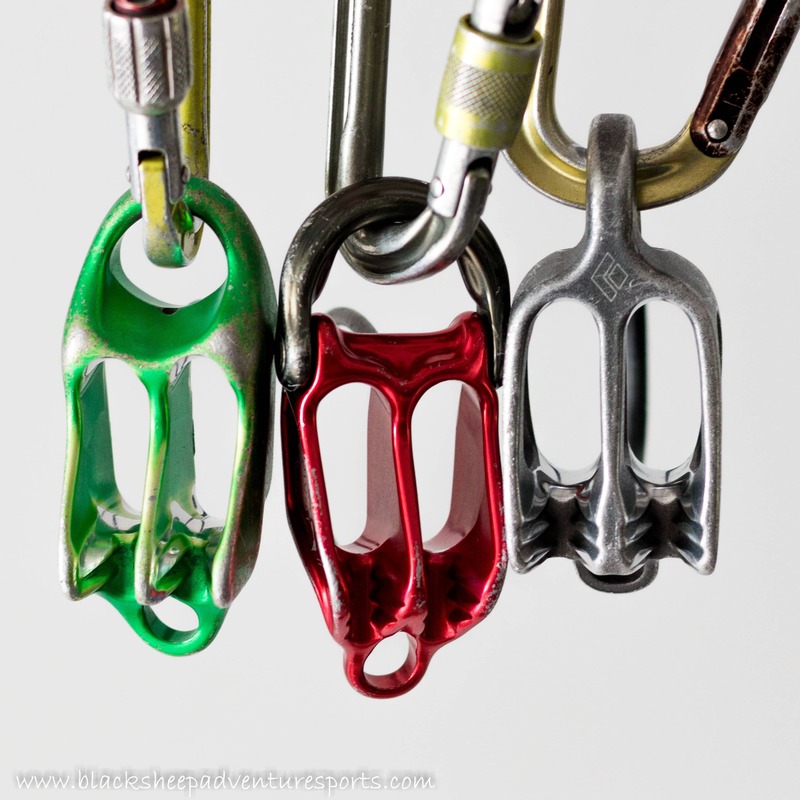 Most standard multi-pitch belay devices look and perform about the same with only superficial differences to differentiate between brands. Some work better for smaller ropes like the Petzl Reverso while others are designed for slightly larger ropes like BD’s ATC. Some have the auto-brake hook mounted horizontally while others are mounted vertically. Oh, and they come in different colors! My point is that regardless of the brand there’s generally little to differentiate one device from another. 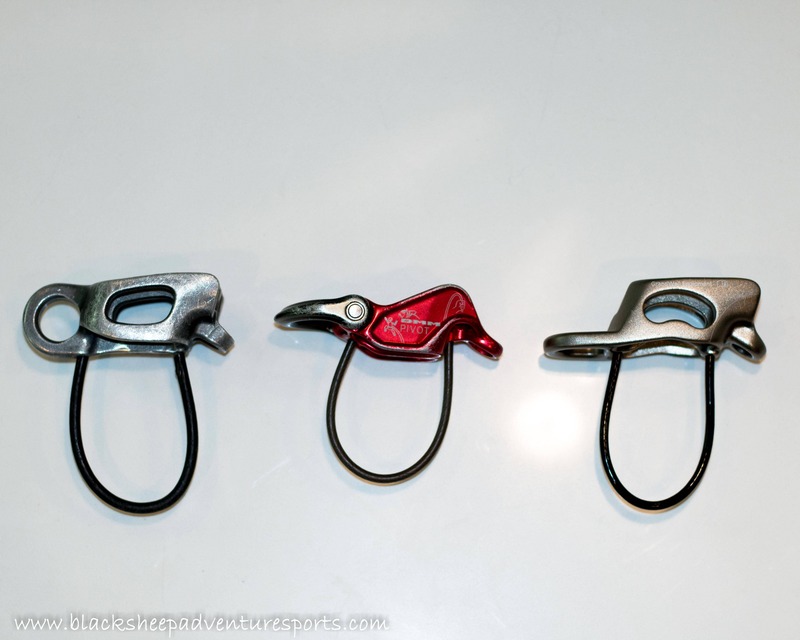 A face-on comparison view of three belay devices: Petzl Reverso (left), DMM Pivot (center) and BD’s ATC (right). 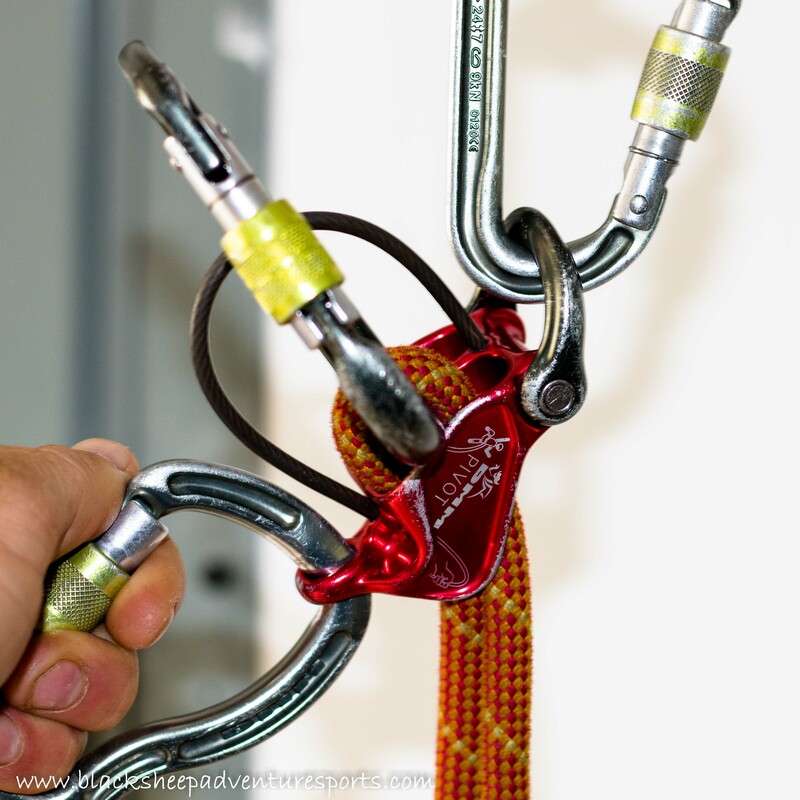 A side-by-side comparison view of three belay devices: BD’s ATC (left), DMM Pivot (center) and Grande Wall Gimli (right). Of course the reason that most devices are so homogeneous in design is that the design works, with one main challenge. When the device is in guide mode and the rope(s) are loaded, how do you lower your second? Well one way is to ratchet the braking carabiner but that’s only good for a short distance as it’s extremely slow. Another way is to rotate the entire belay device around the hanging carabiner to reduce the amount of friction. Unfortunately it’s difficult to manage a controlled lower doing this as the friction can drop off very suddenly with some devices while others jam. The DMM Pivot on the other hand is easier to reverse and allows for a smooth lower. The set-up to lower a second using the DMM Pivot. A combination of design features allows for good control and a smooth lower. So how did they do it? Well the main difference is the hinged guide mode belay point. The inclusion of a hinge (or pivot) at the belay point moves the centre of rotation more in-line with the climbers weight. This makes it easier to rotate the Pivot and slowly lower someone in a controlled manner. Now while I’m sure there a large number of subtle design features incorporated into the Pivot to facilitate a smooth lower the only other obvious one is the large carabiner hole on the bottom. Unlike many such holes that only allow the nose of a carabiner to fit I can get an average sized ‘biner entirely through to provide a good handle for lowering. Overall: The DMM Pivot has really raised the bar with this more versatile version of a dual mode, tube style belay device. 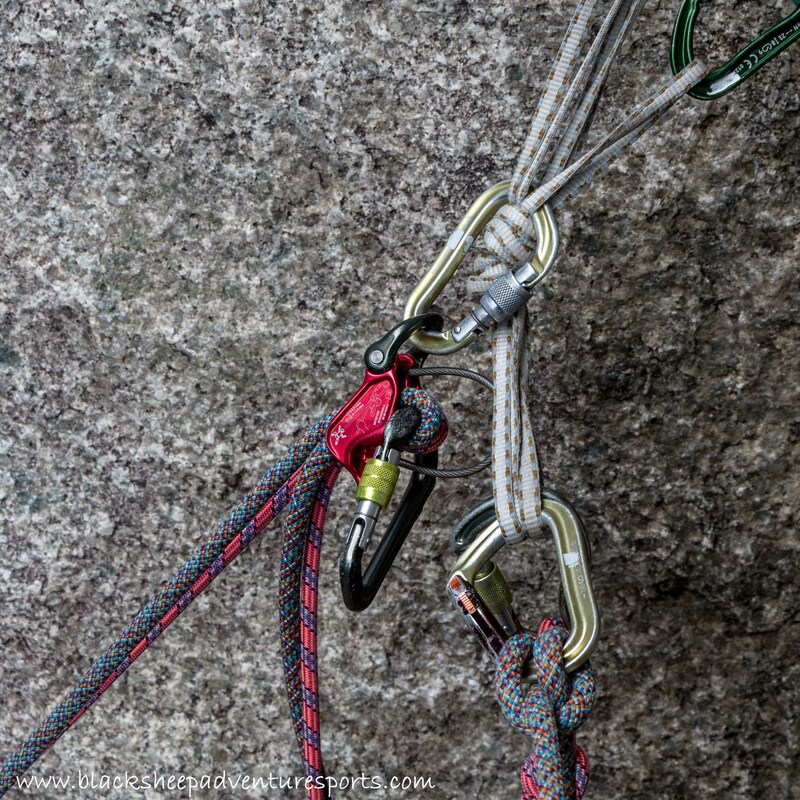 A note-worthy achievement and a great belay device if you’re in the market! DMM provided a sample of the Pivot for testing but this did not influence the results of the review in any way.